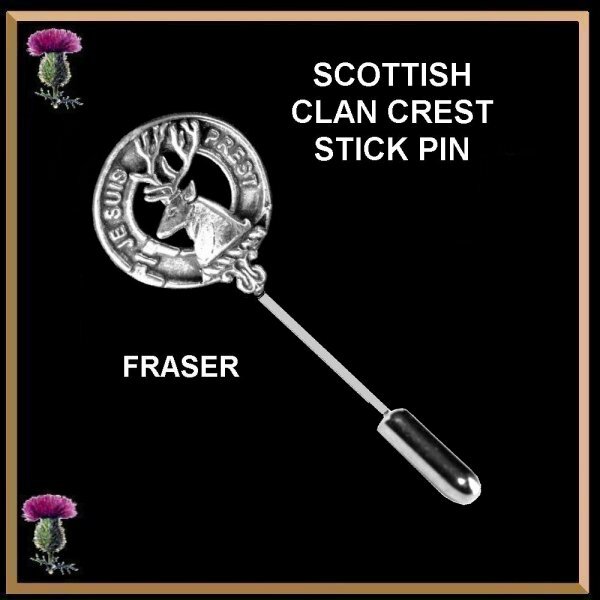 This lovely Clan crest sterling silver stick or cravat pin is surprisingly versatile. It can be worn in the lapel, as a brooch, or as a hat pin. It also makes a great scarf or cravat pin. A great gift idea for either a man or a woman. A lovely, unique object. The cravat was popular in the 16th century and in Victorian times. Burns is pictured wearing a cravat with pin in many portraits. 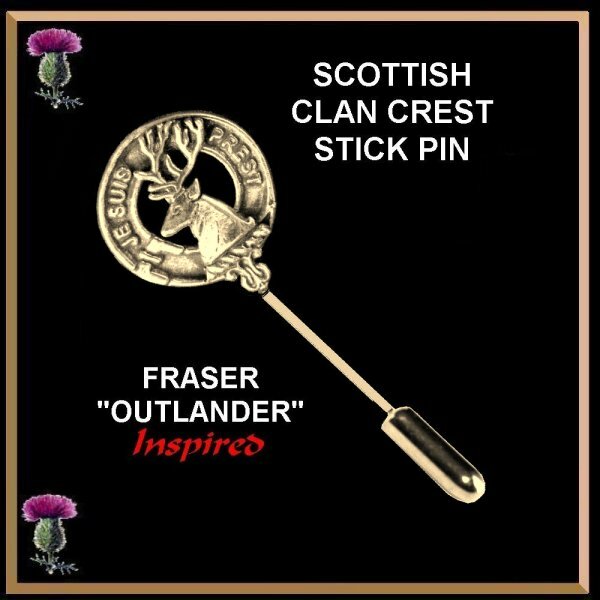 This Clan Crest stick or cravat pin has your sterling silver Clan Crest mounted on a nickel silver pin with matching cap. The Clan Crest is 11/16” in diameter (19.5mm) The pin is 1-1/2” (37mm) long. All Clans are in stock for immediate delivery.